Finding the right weapon for your favorite RTS and FPS genre games can be difficult. There are a plethora of gaming mice options out there all with their own benefits and weaknesses. What's more is that everyone's hand size and shape, as well as preferences, are different. 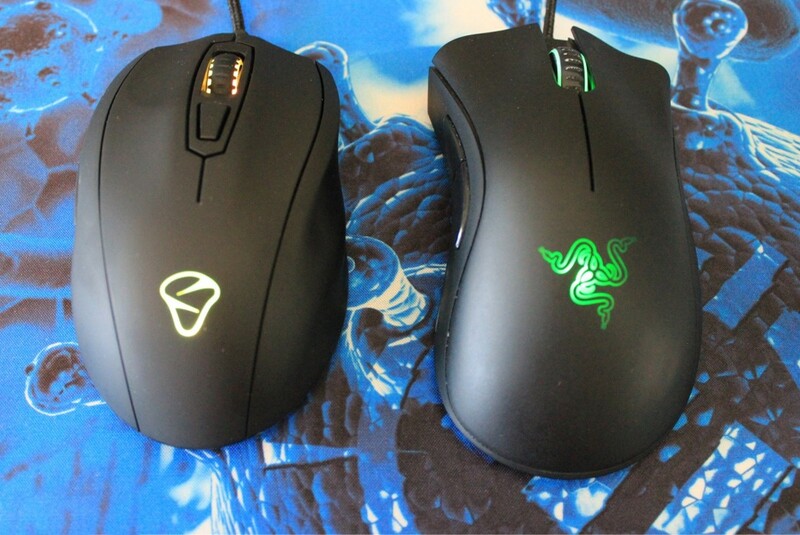 The DeathAdder (right) is a clear favorite for many gamers in the FPS and RTS space. Still, there are many alternatives that, in my opinion, are just as good. That being said, there are a lot of gaming mice that we can simply weed out. Those that don't have the accuracy, precision, and grip necessary to play competitively in the FPS and RTS space won't find themselves on a list like this one. In addition, we can leave out anything that has built-in acceleration. 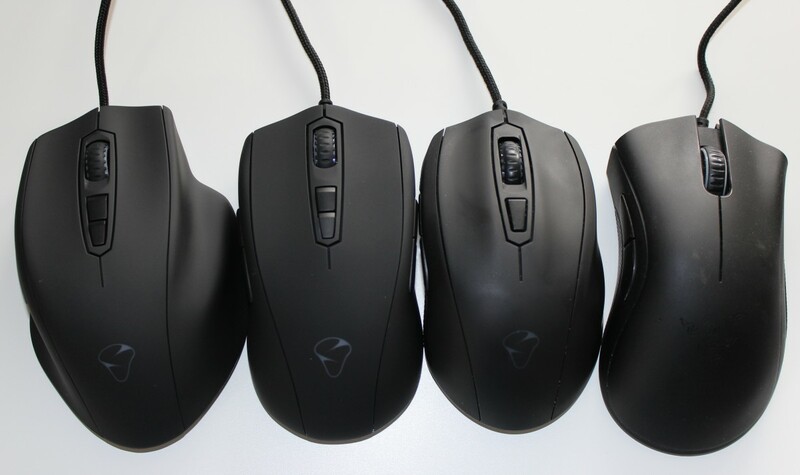 So, if you're looking for the perfect gaming mouse, take a look at the mice below, and choose whichever one is comfortable and matches your grip. Before I begin, it's important to realize that any of the gaming mice on this list are perfectly reasonable options for both FPS and RTS games. What it's most likely to come down to are size and shape. 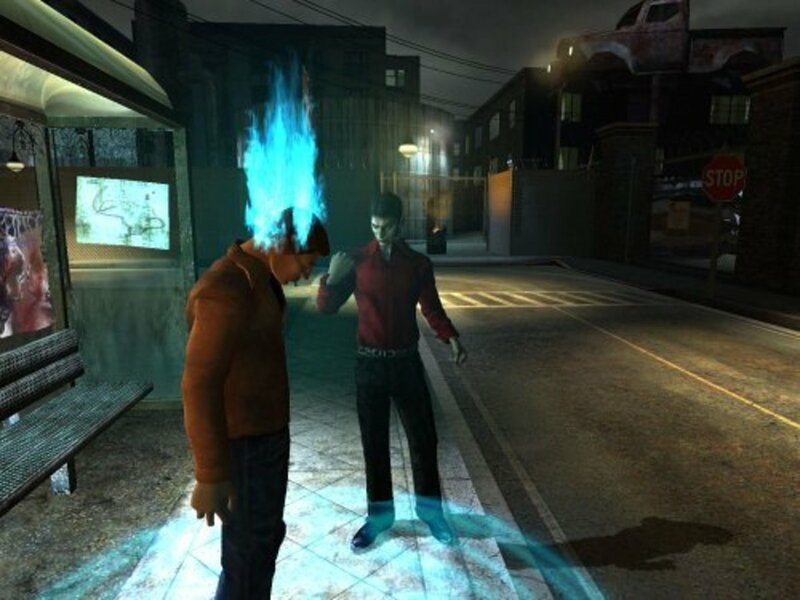 For these types of games, I usually prefer a mouse that's lightweight and rather small and easy to move around. Anything that's bulky, tends to slow me down. Your preference might be different than that, so be sure to let me know by voting in our poll below and leaving a comment. Here's a picture of me holding the Razer DeathAdder. As you can see the grips avoid that shiny slipper plastic that plagued earlier versions. The Razer DeathAdder Chroma is the obvious choice here when it comes to palm style grips. Modern versions of this mouse come with what's labeled a 4G sensor vs. the 3.5G sensor on the previous version. For those who want to get technical, the Razer DeathAdder Chroma uses the Avago S3988 sensor which I consider to be a nearly flawless option. This gives it a bit more accuracy, but not a ton of added value vs. older styles. What I like most about the DeathAdder has everything to do with the shape and weight of it and not the LEDs and fancy cables. Regardless of what anyone says about it, the Razer DeathAdder Chroma is still the most trusted gaming mouse out there. This is likely because it works with the most hand types and grip styles while remaining comfortable. I still highly recommend it. The shape of the Castor (Left) was a bit odd for me at first but quickly grew on me. It's now my daily gaming and work mouse. On the right, is Razer's DeathAdder which is probably the most popular mouse to date. I recently received a sample of the Castor from Mionix (you can see my video below). It quickly turned into the best mouse I've ever had due to its quality, sensor, weight, and shape. Admittedly, I'm a gamer with large hands that prefers a small and lightweight mouse. Those who are looking for something heavy will be disappointed here. The build quality is top notch with a grippy plastic and rubberized side grips. For the sensor, the Mionix Castor uses the ADNS 3310 which is both accurate and consistent. LED lighting can be adjusted to one of just about any color you can think of and then set to various effects. Overall, the Castor is, in my opinion, Mionix's best entry to date. I much prefer the shape of it to the Avior and Naos 7000. A good alternative to the DeathAdder would be the SteelSeries Rival. SteelSeries is known for their quality products in the gaming industry and the Rival 300 is popular among many of my pro-FPS friends. One of the main reasons is that it's not as wide as the DeathAdder thus making it good for people with medium sized hands. One of the main reasons is that it's not as wide as the DeathAdder thus making it good for people with medium sized hands. On the other hand, it's a bit heavier at 103 grams. 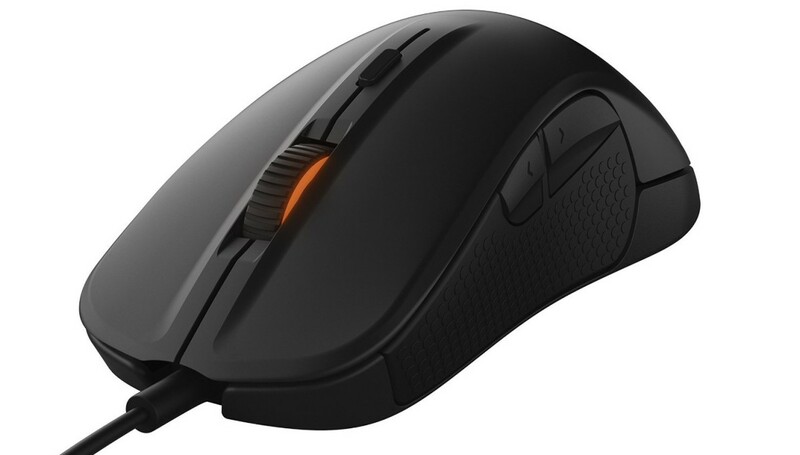 For design, the SteelSeries Rival 300 screams quality with its rubber side grips, Omron switches, and 3310 optical sensor. The LED lighting can be illuminated in two different zones. For color it comes in gunmetal, black, and white. 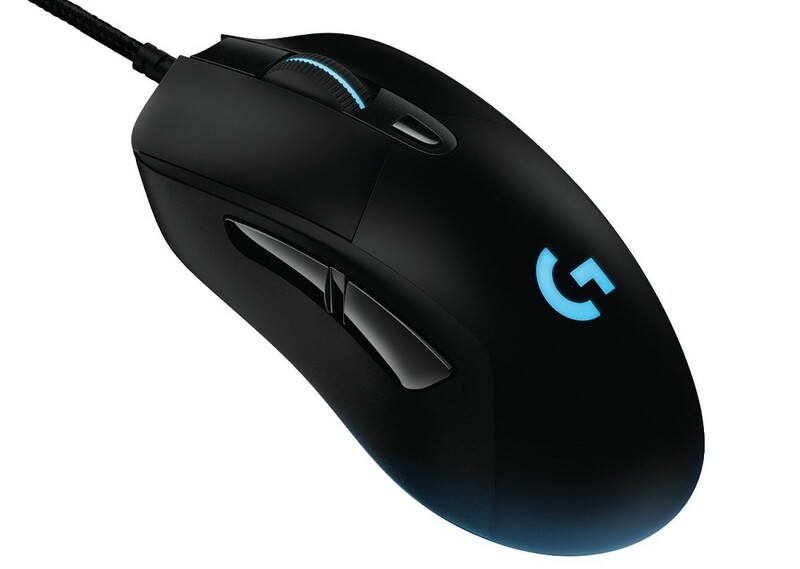 The Logitech G403 is ideal in terms of accuracy and cost. It uses the Avago S3366 optical sensor which is another nearly flawless option. For size, this one is very comparable to the DeathAdder but a little more straight. So, I'd recommend it for medium to large-sized hands. It's lightweight at around 90g for the wired version and as such is very comfortable over long gaming sessions. It's a bit wide, so again, it may come down to a bit of personal preference. In addition to the wired version, the Logitech G403 also comes with a wireless option. Believe it or not, I noticed no difference in delay between the two. The biggest difference is actually the weight with the wireless version coming in at 106g. Overall, the G403 is definitely worth your attention if you liked the G402 or other similar Logitech versions. If you haven't heard of the Zowie EC2, it's definitely a mouse you consider. 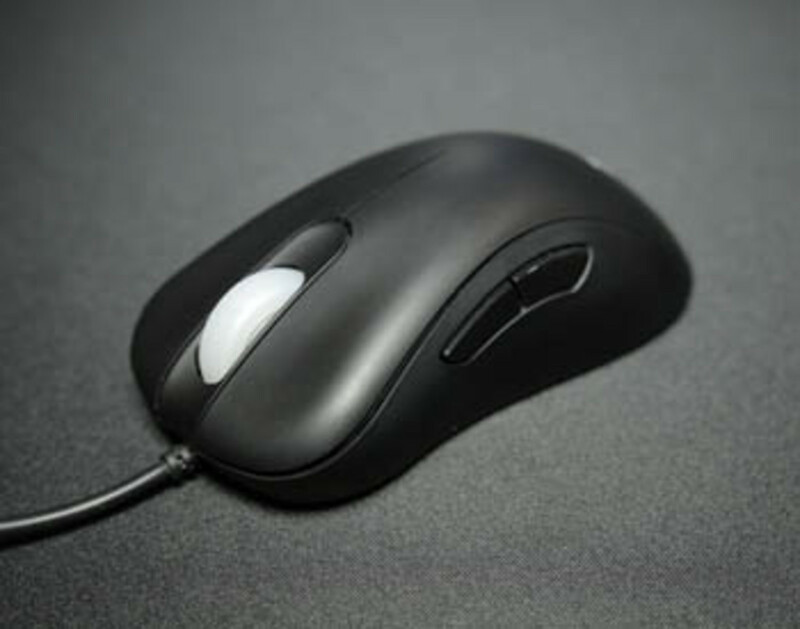 It's a mouse which is accurate with the Avago A3310 optical sensor. Because of its shape, it's also good with palm, claw, or even fingertip grips. It comes in two sizes the EC2-A for medium and small hands and the EC1-A for large hands. It's lightweight at around 95g for the EC2 and 98g for the EC1. The Zowie EC2 and EC1 is a contender, not a pretender and definitely will be preferable to many. You'll love the low lift off distance of under 1.55mm and it has really nice large teflon feet for a really good glide overall. It doesn't have software that comes with it and quite frankly it's not the prettiest mouse I've ever seen. That being said, it is one of the best I've ever played with so the look, doesn't really matter. 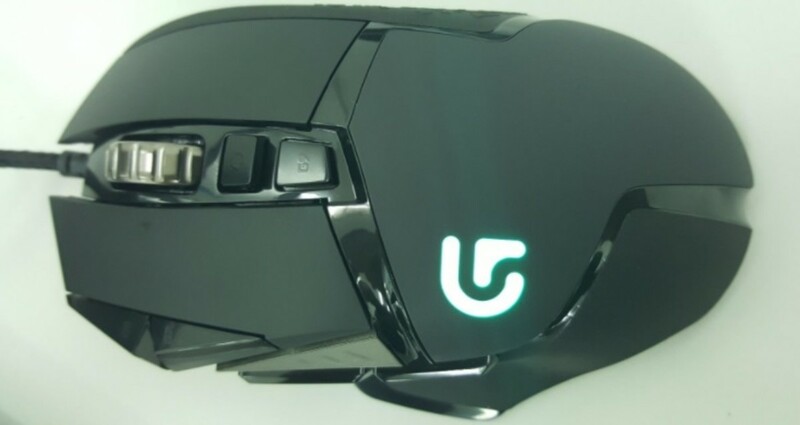 The free flowing scroll wheel on this mouse sets it apart from the competition. 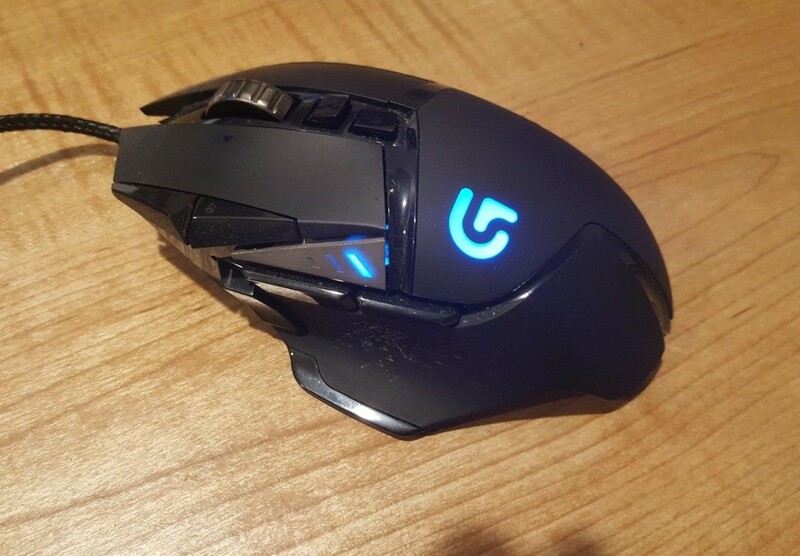 Another Logitech mouse you should definitely consider is the Logitech G502. There's a previous model version of this that does not come with RGB but can occasionally be found on a good deal. 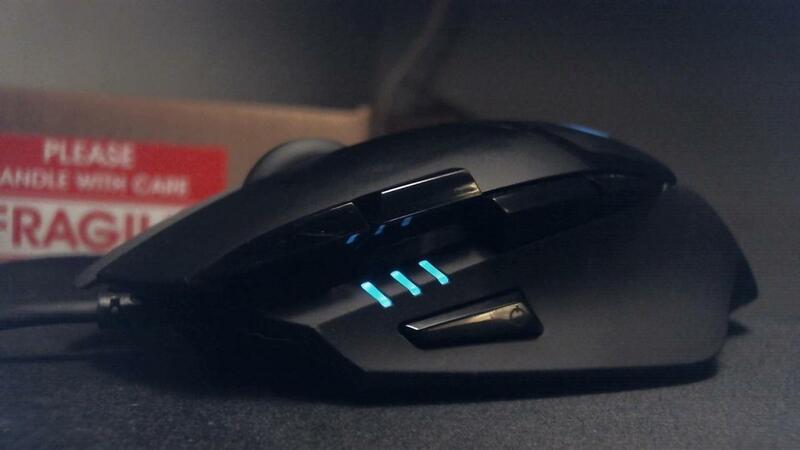 With a PMW3366 sensor, accuracy isn't the first thing you have to worry about with this mouse. More than anything is the shape. It has a thumb rest which some people really like and some hate. For scroll wheel, it has the free flowing scroll wheel that I prefer over any other. You don't really see this on brands other than Logitech. If you use your mouse for both work and play, this is a super important feature. In fact, it's one of the main reasons that this mouse is on my work desk right now. It's a bit larger than some of the other options on this list and if you have smaller hands, I'd recommend you avoid it. Because of its 11 programmable buttons its good for just about any genre of game. I could even see someone play Wow with it and be quite satisfied in the positioning of the programmable buttons. Overall, it's definitely a mouse that I use and one I'd recommend to anyone that likes this type of shape. There's a lot of laser gaming mice out there that are really fun to use, packed full of features, and have great shape to them. That being said it's important for most to realize that a laser sensor is not as accurate as an optical one overall. This is because mice with laser sensors have acceleration built into them that can not be modified. We'll take one of my favorite gaming mice as an example, the Logitech G9X. The G9X has two interchangeable grips which allow you to play in a claw style grip, fingertip, or palm grip mode. It also has weight tuning and a multi-function wheel that is durable and nice to use. That being said I do use the G9X, but not when I'm playing competitively. The accuracy just isn't there in terms of using a high DPS and trying to pivot from one side of the screen to another to get a headshot. This is because of the G9X's laser sensor. Below is a list of many of the best gaming mice on the market. You can help me out by voting for your favorite. These polls influence some of the writing decisions we make going forward. What's the Best FPS or RTS mouse? This list isn't meant to cover the full spectrum of mice that I find to be acceptable for the FPS and RTS space. To see more options that I consider good, see the poll below and vote for your favorite. I'd consider all mice on this list very much worthy to be in consideration; however, my personal favorites are those listed above. Still, I believe the perfect gaming mouse is a matter of personal choice and, for the most part I've never found a perfect mouse. So, if none of these fit what you're looking for, then a new release mouse might. Here's a legacy poll from a couple years ago. It's interesting to see where we've come. 2,998 people have voted in this poll. Is DPI important in an FPS gaming mouse? DPI is a measurement of how sensitive your mouse is. Basically, this means how fast you can get it across the screen. While using a DPI between 800 and 2000 is reasonable, anything beyond this you have to start questioning whether you are losing accuracy. An exceptions to this could include playing at a higher resolution. That being said most modern gaming mice come with a high amount of DPI, but don't let that be a barrier to liking one mouse over the other. Go with a mouse that is not only accurate in terms of precision, but that also feels like you could hold it all day long. Hopefully you've been able to get some valuable information in terms of choosing the right FPS gaming mouse. If there's a mouse that you feel should be featured here, then be sure to let me know in the comment section. Allow for up to 24 hours for your comment to post and for me to respond. Also, be sure to check out my YouTube video, channel, and my profile for more information. Its very precise in FPS and i mostly fingertip grip my mouse although i sometimes claw a little and rarely palm as well. 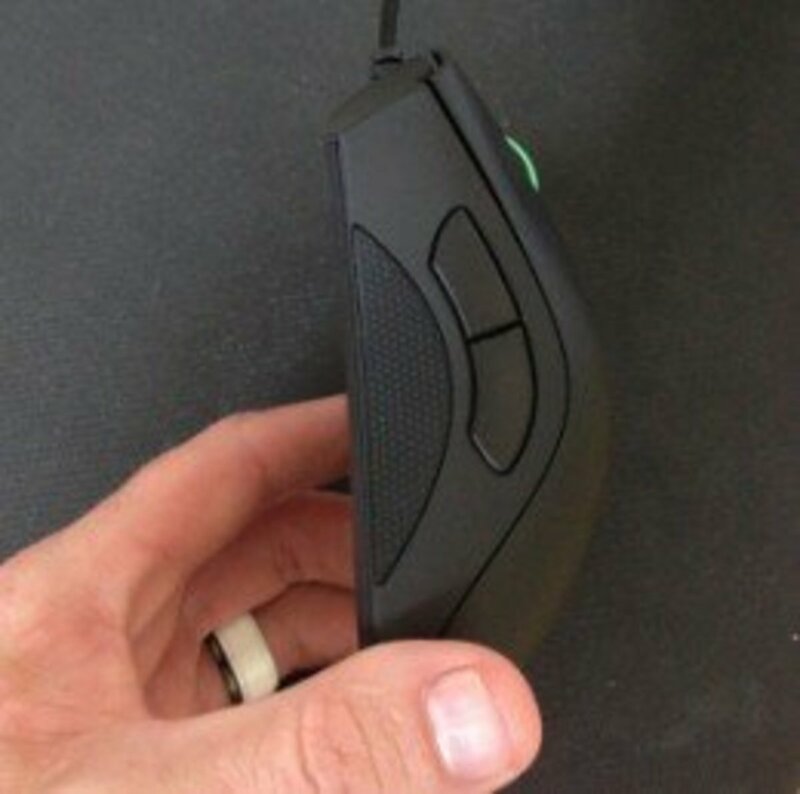 This mouse feel perfect for fingertip and ocasional claw with its shape and size imo. What mouse would you recommend in my case. The only thing i might see as an improvement is perhaps extra buttons but maybe not . . . It will probably stop working one day but so far seems like itl last forever lol so i dunno if i should be concerned with looking for a replacement now or in a few more years when technology is much different than now . . .
i can't believe the ttesports lvl 10 gaming mouse isn't up here or maybe the volos. These are incredible mice???! The G600 is a great option as well. I really like the SteelSeries QCK. Cheap and effective. What mouse pad would you recommend to buy for a Razer DeathAdder 2013 mouse? Any advice would be great.